This entry was posted in History, Novel, Religion, Society and tagged angry Jesus, childhood of Jesus, Gospel, Jesus, Jesus killing boy, Jesus killing teacher, Jews, Joseph, Judas of Galilee, Romans, Temple, uprising, whipping the moneychangers, Zealots. Hello. 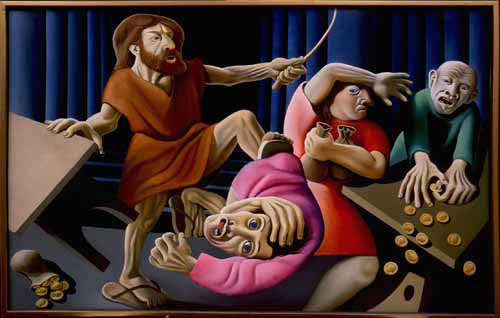 Do you recall the name of the artist who painted the above scene of Jesus whipping the money changers? Thanks much.